Marcy Borders 9/11 Dust lady dies of cancer: Is 9/11 attack to blame? 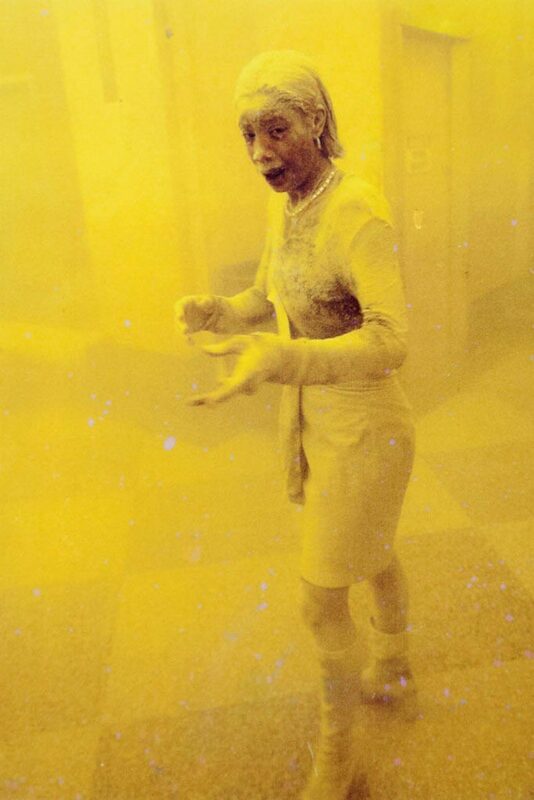 Pictured Marcy Borders 9/11 Dust lady. Was her death attributable to the 9/11 attacks? AFP PHOTO/Stan HONDA/FILES. 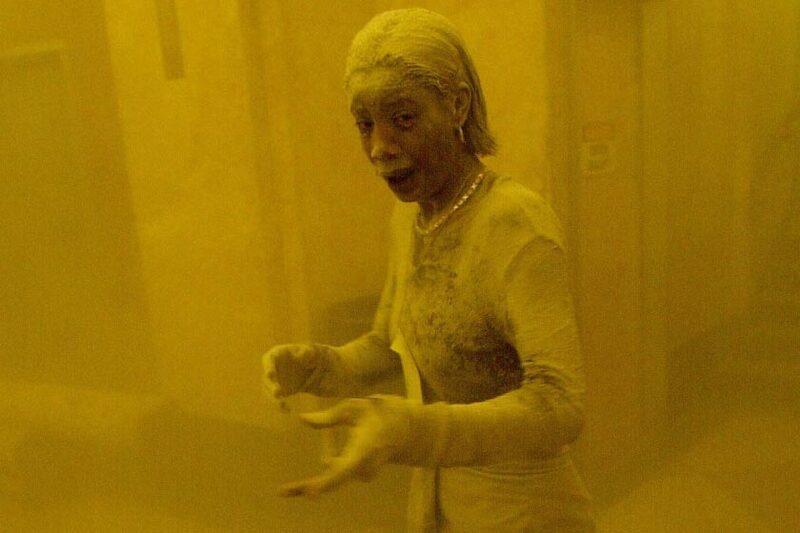 Marcy Borders a dust laden survivor of 9/11 whose dust infused image bagged her the iconic name of the Dust Lady has died after battling stomach cancer. The former Bank of America employee galvanized Americans in the days after the 9/11 terrorism attack on downtown NYC on Sept 11, 2001, after images of the woman caked from head to toe in ashen debris fleeing the WTC attack began to go viral. Borders, of Bayonne, was just a month into her new bank job on Sept. 11, 2001, when a plane slammed into the north tower where she worked. Instead of staying at her desk, as her boss had ordered, the nypost reports that the employee fled from the building and into the streets. Fortunately a stranger pulled Borders into a building lobby just as the north tower collapsed — and it was then that a photographer captured her terrified face in a famous photo that has since been seen around the world. Yet whilst she survived that ominous day, Marcy Border’s life would begin to spiral downward in the years after the attacks, as she battled severe depression and became addicted to crack cocaine. After losing custody of her two kids, Borders checked into rehab in April 2011, where she was able to remain sober since, she told The Jersey Journal in November. Yet it would be then that the woman who had been able to beat another tribulation revealed that she had recently been diagnosed with stomach cancer in August 2014 and had undergone chemotherapy. She added that she was scheduled to undergo surgery in December, followed by radiation and more chemotherapy. Before passing away, with the woman ever conscious of the 9/11 attacks, Borders could help but wonder if her illness could be related to what she endured on September 11?